EDIT: 26 April 2017. I have updated some broken links and fixed a few errors (after the transfer from Turbine to Standing Stone). I also consider taking another pass at the guide, to revise parts of it. If you have suggestions for changes or additions, please add them in the comments below! Many players who have little experience with roleplaying might end up on a roleplaying (RP) server. A warm welcome to you! I hope you find a good new home. If you’d like to try this roleplaying thing as well, here are some tips to get you started! LOTRO players react in various ways when they hear the term “roleplaying”. Some behave like deer staring at an approaching light in a tunnel, fearful of being noticed by those driven and altogether weird roleplayers. Others scoff and say that they’ll be caught dead before engaging in such silly activities. So sit back, take a deep breath, and know this: If you have played LOTRO, you have taken part in roleplaying already. You are a roleplayer. You’re part of the RP group. There are different kinds of roleplaying, though, and this guide tells you a little about acting in-character. This is written based on my own experiences from the Laurelin server, where I have played hobbit characters since LOTRO launched in 2007. Hopefully, the information here will be useful for players in other roles and on other servers as well. There are lots of roleplaying guides on the Internet, but I have tried to write one that a) is geared towards LOTRO, and b) doesn’t try to cover all aspects of roleplaying. There will be things missing from this guide if you really want to embrace roleplaying. Instead, I hope the guide can be a useful starting point for players who are new to LOTRO roleplaying, including those looking for a new home after the server closures this autumn. This is why I include some details about LOTRO roleplaying rules and policies, especially those valid for roleplay-specific servers. I have also tried for a conversational style, discussing why things are good or bad rather than providing absolute and dogmatic rules. In roleplaying, there are few absolute rules anyway. A. What is roleplaying in LOTRO? So bring a cup of tea (or a stiff brandy) and let’s get down to it. Here we go! 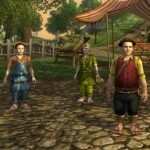 In online games, players roleplay when they assume the role of a character in the game world and act out this role. If you interpret this definition widely, you roleplay when you log into LOTRO, play a character through the game storyline and use the regular game mechanics. So you’ve been roleplaying all the time already. Why stop now? There are probably as many opinions about what roleplaying is as there are roleplayers. When people speak of roleplaying in LOTRO, though, it usually involves acting in character (IC). You talk, act and interact with others like your character would have in Middle Earth, in order to go beyond the game mechanics, to immerse yourself more into the game world and Tolkien’s lore. If you’d like to flesh out the details of the character you have running around on the screen, roleplaying gives you the tools. If you ever dreamt of being a farmer in Hobbiton, a soldier of Gondor, an elven scholar, a dwarf seeking your lost homeland, or one of the thousands other possible roles, roleplaying gives you the opportunity. Roleplaying also involves storytelling. Your character could act within the context of the stories offered by the game, or in new player-created stories. You can spend a lot of time scripting new stories, or you can simply improvise with others you meet to see where your choices take you. This goes for the whole range of stories, from epic adventures to tavern-based conversations. Above all, roleplaying is an exercise in creativity. You take part in driving the story forward. Your imagination is the source of the fun, and it adds to the game experience for others. This often spills outside of the game, too: Roleplaying communities are home to many talented players who write stories and songs, paint pictures, create videos and do all sorts of other exciting stuff based on what they do in the game. They may also have strong community-oriented web sites catering for roleplaying and creativity, like The Laurelin Archives and The Bramblebury Gazette on Laurelin. So, welcome to in-character roleplaying in LOTRO. Use your imagination to immerse yourself in the game, perhaps by losing yourself a bit in the game world. Filter out your real-life worries, turn off the OOC chat channels and just embrace the story. It can be quite rewarding. This section gives a quick description of the roleplaying servers in LOTRO. These two servers come with an official Roleplaying Policy decided by Standing Stone, which helps provide an immersive and more enjoyable experience for roleplayers. You can read more about the policy in section C below. Landroval encourages roleplaying, but it is not governed by the official RP Policy that covers Laurelin and Belegaer. Additionally, a lot of roleplaying occurs on the other servers as well. These servers are not covered by the RP Policy either, and they have no particular RP labels. It is a long-standing mistake that roleplaying is enforced on Laurelin and Belegaer, in the sense that you absolutely have to roleplay there, acting in character all the time. This has never been the case, and neither will it ever be. Roleplaying is supported on these two servers, in the sense that there are some policies in play that help give a better experience for roleplayers. No-one can force you to take part in roleplaying, though. Many players on these servers don’t attend roleplaying events or engage with roleplayers at all. Then why do they play there? Well, they might like the atmosphere of the server. They might want to take part in a few public events. Some find that the extra roleplaying policy gives them a better gaming experience. And that’s all good! Non-roleplayers on RP servers are no problem at all, as long as they follow the RP Policy and don’t try to ruin things for those who want to roleplay. Rather, they are a benefit to the server community: The server feels more alive when more players are around, the economy thrives, and it is easier to get help for crafting or groups for instances. Contrary to pen and paper roleplaying (like Dungeons and Dragons), roleplaying in online games mostly lacks universally accepted rules or standards. There are no dice to throw or preset tables of success probabilities, outside of what is offered by the game combat mechanics. Still, the roleplaying servers have a few policies in play, both official and unofficial ones, and it is good to know about both. When you play on Laurelin and Belegaer, you subject yourself to the LOTRO Official Roleplay Policy. This policy comes in addition to the LOTRO Code of Conduct, which is valid for all servers. Naming restrictions. All character names on the roleplay-supported servers are required to be within the spirit of LOTR. This comes in addition to the naming restrictions in the Code of Conduct. Harassment of and by roleplayers. Chat restrictions, where the chat in some channels have to be in-character (most notably, /say and /regional). You should read through the Roleplay Policy for more details on these restrictions, as well as the LOTRO Code of Conduct to see what behaviour and character names are appropriate in the game. Contrary to the belief of some, Laurelin and Belegaer aren’t monitored 24/7 by a team of RP game masters who actively look for violations of the RP policy. In reality, the game masters act on reports made by the players. Do you have a character whose name is problematic according to the RP policy and the Code of Conduct? Do you disrupt people trying to run an RP event? Do you talk about the latest Champions League results in the /say channel? Then another player might send a ticket to the GM’s, asking them to investigate further. After this report has been made, it is up to Standing Stone’s employees to decide whether or not you have violated the RP policy. Sanctions may include a forced renaming of your character name, warnings or bans from the game. The important thing to remember is this: As a rule, players don’t report because they want to be mean to you. They do it to preservere the roleplaying on the server, to allow roleplayers the immersion they look for. Many roleplayers want to filter out as many out-of-character distractions as possible, to concentrate on the storytelling. Realistically, the RP servers are the only places they can hope to achieve this. This means that roleplayers will be somewhat diligent in keeping the policy alive. Some find this problematic, comparing the RP servers to 1984-inspired police states, or by belittling the RP policy (and those who follow it) as silly. If that is the way you roll, or if the uncertainty that someone somewhere down the line might report you is too much to bear, then by all means: You should think twice before making an RP-supported server your home. After all, there are alternatives available. Put a little thought into your character name, so it would be somewhat fitting in Middle Earth, while not being a near copy of some of the major characters in the LOTRO story. Don’t actively mess up things for those who roleplay, and remember that your roleplaying choices is no excuse for harassing others. Don’t talk about stuff that doesn’t belong in Middle Earth, or things that characters in Middle Earth wouldn’t know about, in the restricted channels. In addition to the official RP Policy, there may be informal guidelines, practices or etiquette for how to roleplay. These are usually not written down, and they might vary between servers or even between different communities on the same server. While it may be wise to adhere to the etiquette, you are not bound by it. No-one can report you to the GM’s for “breaking” etiquette. If they do, the GM’s can’t sanction against you. They can only act based on the Code of Conduct or the Official Roleplay Policy. If someone angrily sends you a /tell saying you are breaking standard practices in local etiquette and that they’ll report you over this, calmly explain to them that as long as you play within the Code of Conduct and the Official Roleplay Policy, you are good. It is useful to know that roleplay etiquette exists, and following it might add lots to your own roleplaying… just don’t expect everyone else to follow it, or even to agree with it. The one exception is when public roleplaying events are organized around specific pre-announced “house rules”, like who should attend, how you should dress, etc. In this case, you should play along with the choices of the organizers. Even though those house rules may not be part of the formal RP policy, you could get slapped with a harassment report if you actively sabotage the RP efforts of others. Outside of this special case: Here are some examples of common RP practices, with some discussion of why they shouldn’t always be taken as gospel. In LOTRO, you can easily see the name of another player on the screen. When new players that I haven’t seen before come up to me the first time, they often greet me by saying: “Hello there, Lina”. Which is simple and friendly, but… in some roleplay communities, this is a near criminal offense. How does the other player know my name? Did someone gossip about me? How on earth dare you throw my name around without going through a proper 5-minute rite of introduction with me? Cue angry tells. Using character names without introduction is perhaps the most regular example of metagaming, where you use information in the game that your character couldn’t realistically know. Personally, I think that proper introductions are nice for immersion purposes, but lighten up already. If you’re halfway creative, you can easily roleplay around this. Perhaps the other player overheard someone speaking about me? Perhaps it is a long-lost cousin that have just come to greet me? Perhaps my fame preceeded me! Lots of hooks here to keep the roleplaying with the other player going. You can easily do that without drawing attention to a simple mistake driven by friendliness and an eagerness to interact with you. Emotes can be a great way to spice up roleplaying. Instead of just doing the basic emotes (/clap, /cheer, /dance), you can write your own custom emotes to flesh out your character further, or to respond to what happens around you, by using the /e command. Emotes like “Lina smiles innocently as Simbo bites into the pie” adds a bit of spice to the roleplaying (in particular if there is a fair bit of extra hot spice added to the pie beforehand…). There is one danger with emotes, in that player might add their inner thoughts, like: “Lina thinks Lobelia is an idiot” or “Lina sits by the fireplace, thinking about times long past”. Realistically, no other player would know your thoughts. They can’t look inside your head or read your mind. Hence, many say that emoted thoughts are examples of bad roleplaying. This view has a lot of merit, but as always there is a flip side to the coin. Once again, you can roleplay around it. You can choose to interpret these emotes as if “Lina mutters that Lobelia is an idiot, loud enough that those close by can hear her”, or “Lina sits by the fireplace, having a distant look in her eyes. It is just as if she thinks of times long past”. In these cases, think emotes are just an efficient way to speed up the roleplaying and convey things that others can use to interact with you, without having to wait five minutes before you write the whole thing. Roleplayers love to walk. When the focus is on immersing yourself in a story rather than moving from A to B as fast as possible, there is no better way about it than to go slow. You have more time to type your dialogue and emotes, to observe your surroundings, to let the story flow. Also, walking is more realistic than being able to run everywhere. As a result, some roleplayers absolutely loathe the sight of other players running or riding in areas where they feel it is natural to walk. Run through Bree? Ride into the auction house without dismounting? Ride on the slippery rock floor inside Thorin’s Hall? Sacrilege! It’s not right and proper. You just shouldn’t do it! Says some. Others, though, accept that time is limited and that you don’t spend 24 hours a day living in a Middle Earth simulator. Sometimes you have to speed up in order to get things done, to spend the 30 minutes before your kids come home from football practice efficiently. That doesn’t make you a bad roleplayer. It just lets you play the game in the limited time you have available. Once again: These things may work for some. They can add a lot of flavour to the game. But no, they don’t work for everyone. And no-one should try to force you to follow them all the time. You’ve found a server, you have read the RP policy (if in effect on the server), you have a character with a good name. With all the formal stuff out of the way, now is the time! Throw yourself into it and start roleplaying. Here are twelve simple tips to get you started. There is so much happening on the game screen that many players can’t get a good overview of everything. Your chat window might scroll by so fast, you’re not able to keep up. 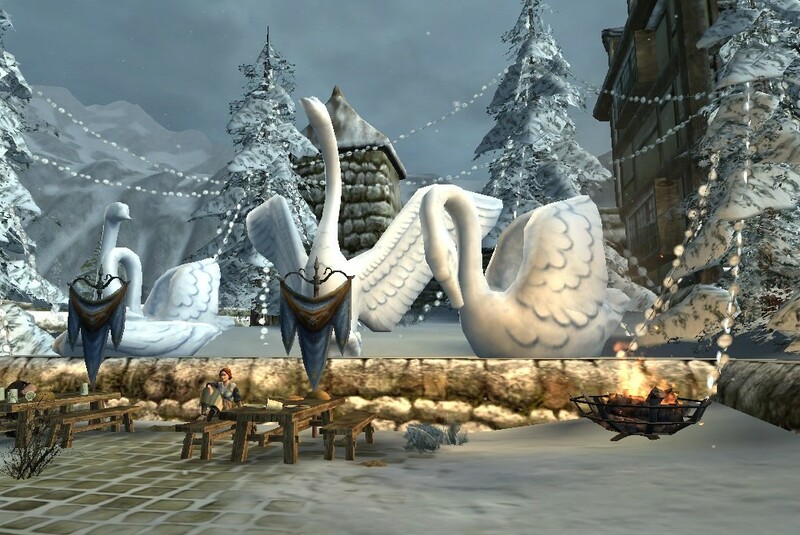 Actions by a few players can ruin the roleplaying for many: Using forced emotes, filling the area with noisy cosmetic pets, playing music over others, etc. Turn on chat bubbles (so the /say chat is visible above the chacter who enters it). Use more than one chat window, so you can direct useful channels to specific windows. Predict in-game time, which tracks the in-game day/night cycle and lets you know when it will be morning/dusk etc. There is much learning to be had simply by seeing other roleplayers in action. This is a good way to learn about etiquette, to see how things work in different communities. Some fear that they are “eavesdropping” or creepily stalking others if they stop near roleplayers to observe things. Don’t worry! Most roleplayers love an audience. And after all, you’re not really eavesdropping, you’re just getting your bearings and learning more about how things work locally. Also consider attending a few roleplaying events. Even if you don’t plan to be a regular event-goer, these are good place to see roleplayers and meet some of those who are active on the server. Plain and simple language works great when interacting with others. Just write proper sentences with punctuation and everything, and the others will understand you. Don’t worry if the dominating server language isn’t your mother tongue. Most roleplayers are quite forgiving of possible poor grammar or choice of wording, as long as you make the effort. Avoid strange dialects – unless you’re a grand master in linguistics, they usually detract more than they add. Besides, you’re just getting started, and sticking to plain language makes it one less thing you have to worry about. Also remember that outside of the Ultima games, no-one uses Ye Olde English like thee, thou and prithee. For immersion purposes, don’t use emoticons like :) ;p or similar. If you’re looking for a conversation opener, keep it simple. You don’t have to draw a grand storyline out of your hat to start roleplaying. Just introduce yourself, ask where the other person bought that dress/hat/backpack, enquire where the local inn is (if you’re not inside it), and if all else goes wrong: talk about the weather. It might seem mundane, but remember – you’re just getting started. You’re trying to interact with another person in-character. Simple things works like a charm to get aquainted with others in the game. I find that the best way to keep the interaction going with another person in LOTRO is to keep up the tempo. Speedy replies reduce the chance that players get distracted by other things. So when you chat with someone, aim for short sentences, not page-long emotes. Keep things moving along. Don’t bother with correcting simple typos if you’ve already sent them to the chat channel. Walls of text take forever to write, they clog up the chat windows, and you risk that the other player gets bored or think that you have gone away from your keyboard. Once you get your RP bearings and understand the rhythm of other players, that’s when you can be more advanced. To begin with, though: Quick and simple works great. Backstory is of some importance in roleplaying. Basically, this is a description that you make of the character you are playing, which might include: The way the character looks and behaves, a biography, character traits, etc. This gives you a framework to roleplay with, and knowing a little bit about your character is obviously necessary to play the role. Then again, it is easy to go overboard when creating a character, writing pages and pages of backstory. That works for some, but it might not be the best way for a beginner. Instead, I recommend that you start simple. A small post-it note or a mental check-list with a few vitals is more than enough; Line of work, one or two defining traits, near family, aspirations in life or similar. That’s enough to get going. If you really like the character after having played it for a while, you have the chance to let it evolve, by filling in the backstory with more details, allowing it to grow more complex over time. In the beginning, though: Simple is good! Additionally, when creating your character: Avoid the Mary Sue (or Gary Stu) trap, where you character ends up the most awesome/interesting/powerful/dramatic/perfect being ever, defying logic or reason on the way. You’re not really Gandalf’s long-lost half brother three orcs removed. You’re not the most beautiful and wise creature that ever lived. Mortals do not bow at your feet whatever you do. Lastly, remember that the backstory is your tool to develop your character. Everyone else doesn’t really need to know it. You don’t have to spend the first five minutes with someone going through all of your life story. Tempt a little, drop a few hints… that might be good to get the interaction going. But don’t preach your biography from the mountains. When you start roleplaying, remember that RP is not a performance where you entertain an audience all by yourself. Rather, it is the dynamic storytelling that can arise between two or more players who have a shared interest in moving a story along. What does this mean for a beginner roleplayer? First of all, sometimes you have to initiate the roleplaying yourself. Don’t go waiting for others to come roleplay with you. Offer up a little of yourself, for instance through emotes: “Lina sighs as she drags the heavy-looking bag down the road”. That gives others the opportunity to interact with you, perhaps offering to help you carry the bag. Other times, you just might have to courage up and introduce yourself to others. Many times, the other player will just run off without interacting with you. That’s not because they hate you, but because they don’t really have an interest in roleplaying. Sometimes, though, you are lucky and the other player talks back to you. And that’s how friendships start in the game. Second, this means that interaction is key. If you roleplay only through reciting massive poems, singing eternal-lasting songs or by telling your long stories, without letting others reply or add their input, you’re not really interacting. You’re just performing a play. Which is good in some situations, but not the basis for creative collaborative storytelling. The last point is critical, because it is fun to be the center of attention. The danger, though, is that you end up making speeches instead of engaging in dialogue, hijacking events for your own purpose, or being utterly unable to shut up when others talk. Accept from the start that roleplaying is not all about you, be prepared to have a passive role from time to time, and you stand a much bigger chance of making friends in the game. Don’t set off fireworks inside an inn, that’ll just make the innkeeper force you to pay for repairs. Don’t wield a 20-foot halberd while dancing in a huge crowd, that’ll just result in a bloody mess. Don’t repeatedly swat those nearby with a gigantic flower whenever you turn, that’ll just lead them to throw down the gauntlet on you. Don’t roleplay that you use two hobbits as an accordion (that actually happened in the game once… it didn’t go well). Related to this, you should also try to avoid metagaming, where you use information in the game that your character wouldn’t know. If someone posts their character’s diary on the Laurelin Archives, pouring their inner thoughts onto a publicly available website, this is still no excuse to use this information in your roleplaying. Just go with the information you have available in the game, and you’re good. Roleplaying in LOTRO is a way to immerse yourself in Tolkien’s lore. However, this doesn’t mean that you or your character must know the entirety of Tolkien’s works by heart, or be able to quote the Silmarillion backwards and sideways. For the player, knowing a bit of lore is obviously a good way to help flesh out the backstory of your character, and it gives you a framework to roleplay within. For instance, if you’re interested in hobbit roleplaying, I heartily recommend reading through the Prologue Chapter of Lord of the Rings called Concerning Hobbits. This is a short primer on hobbit history, traits and customs, and it isn’t too long. However, I’d never say that this is a prerequisite for playing a hobbit in LOTRO. The important thing is that you don’t feel forced to bring too much lore into the game world. This may seem somewhat at odds with the goal of getting immersed in Tolkien’s works through roleplaying. However, you should accept that there are limits to what your character would know, based on what role you play. And no, you’re not playing Elrond. Your character is not expected to know all that has happened in Middle Earth, or to have heard of all beings, creatures and persons mentioned in Tolkien’s stories. Using hobbits again as an example, the patrons of the Green Dragon would be very unlikely to discuss (or even understand) the details of ancient elven or dwarven history, or the intricacies of powerplay between wizards. They’d have more than enough with what concerns them in the present, like the quality of crops or the upcoming mayor election during the midsummer fair. Avoid emotional manipulation, where you fish for sympathy from others because of harrowing things in your backstory or happenings in-game (murdered parents, burned-down farms, no-one likes me etc). Don’t do power emotes, which basically forces effects or actions upon other characters (chopping off their legs, throwing them on the floor, killing them with a single blow etc). Don’t do forced emotes, where you force animations and effects upon other characters (using festival items on others while roleplaying, performing captain cheers on dancing crowds etc). Granted, this problem is less now that you can disable most of the involuntary emotes, but the problem still remains. Don’t force your roleplaying story or preferences on others. Others may have limits to their roleplaying that they don’t want to cross. Just accept it and move on if that is the case (heavy drama roleplaying, conflict RP etc). Remember that in-character roleplaying is not the same as real-world behaviour. A player whose character is a hobbit wary of elves isn’t necessarily a real-life xenophobe. Players who are gruff and surly in the game just act out their character traits; they don’t do this to be mean to you. If players don’t interact with you, it might be because they didn’t notice you in a busy game setting, or because they were pressed for time. The simple version is: Don’t read real-life malice into in-character actions. Don’t look for excuses to be offended based on roleplaying. Roleplaying should be fun. Roleplaying IS fun. It isn’t much fun, though, if you are afraid of doing mistakes, if you’re too shy, or if you don’t dare greet others out of fear that you’ll trip over all sorts of formal and informal conventions for how to roleplay properly. Just remember the following: Everyone has been new at this once. Most players you’ll come across are good-natured and friendly. They’ll know and accept that mistakes can happen. What is important is that you are willing to learn. If you say you’re new to this roleplaying thing, there are lots of roleplayers who will spend their time to help you get your bearings. In short: Worry less. Play more. Learn as you go. And have fun! This is not an official guide to start roleplaying in LOTRO, and it is not sanctioned by neither Standing Stone nor the LOTRO roleplaying community at large. Rather, this is my advice for starting roleplayers, based on my own gaming experiences over the years. Other opinions will certainly apply. There are lots of other resources around to get you into roleplaying, and many of them are really good. In particular, I’d like to recommend the RP survival guide. While it is written using examples from World of Warcraft, most of the basic principles here are quite sound also for LOTRO. Still, I hope that you have enjoyed reading my guide too, and that it will be of some help to those of you who consider trying roleplaying in LOTRO. It is not my aim to have you agree with everything here, nor to take this guide as the absolute truth. Hopefully, though, the guide will help defuse some of the perceived “dangers” of roleplaying that beginners often are afraid of. If it also helps you consider various aspects of how to start your roleplaying career, or enable you to find the way you prefer to interact with others, I couldn’t be happier. Good luck in your efforts! And don’t be shy to stop by for a chat if you’re on Laurelin. Lastly, thank you for taking the time to look at the guide! Please let me know if you find it to be useful (or not). Are there things you find horribly wrong? Do you have suggestions for improvements, or did you spot errors? Just add your thoughts to the comments below, and they may provide the basis for a future revision of the guide. Excellent work, Miss Lina! You’ve obviously put a lot of thought and time into this and I hope many people will avail themselves of the opportunity to read it through more than once. I have a couple of thoughts to throw out after the first reading (there will be a second at least). When discussing “non-RPers” who may want to give it a try, I believe there are probably quite a number of people that may not actively seek out RP events or interactions, but who are what I would call “RPers at heart.” They may not have a fully fleshed out backstory typed out, but they have a rough draft in their heads of who their character is and try to immerse themselves in the game. Reading through some of the comments on the LOTRO forums regarding world closures I’ve repeatedly seen people say things like “I’m not an RPer, but I am moving to (or I started on) an RP server just for the more mature atmosphere.” Anyone who understands the concept of immersion in the game has the potential to enjoy RP in the right setting. That’s all RP really is, just the next step in immersing oneself in the game and having a “life” within it. I point this out only because you seem to have this guide at least partially aimed at people new to Laurelin. My other thought is regarding lore and what an RPer ought to read up on. Your point is well taken that a beginner RPer shouldn’t/doesn’t have to have read The Lord of the Rings to get started. But I really think anyone who commits to playing LOTRO for any length of time would be doing themselves a huge disservice by not reading the source novel. Or re-reading it! It’s not a particularly onerous task, it’s a great story. And knowing the story will not only make things like the epic quest make sense, but it will help in figuring out where your character can fit neatly. Thanks !Good points! And aye, Tolkien’s lore is of course one of the main draws for many roleplayers in LOTRO. Read the books, or brush up a bit on some of the lore sites around (LOTR Wiki, Tolkien Gateway, Encyclopaedia of Arda/Glyphweb etc) – that’s a good way to develop further after having tried roleplaying on for size. Great guide, Lina! I wish I’ve had a good one like this to read when I started playing. Glad you like it, Neti! Thanks! Awesome job Miladee. I always refer to myself as a roleplayer-light. LOVE to RP just not all the time. But this guide is great. I will advise this to anyone who asks me about RP. Thanks! Grand to hear it is useful for yer! Thanks! Glad to know yer liked it! This is a really great guide. However, I am a bit concerned that it’s implied we shouldn’t sing about things in the outside world…we could have perhaps heard of them? I’m sharing this to get your thoughts on the matter. For instance, I have drafted a song about Radagast, but maybe it is not appropriate for Lone Bard’s Night–and it shows knowledge of his relation with Saruman and Gandalf, however briefly. Thanks for your feedback and again, for the great guide. Thank you! As for “outside world”: If you ask me, the most important thing (RP-wise) is really to avoid bringing real-world stuff into the /say channel (cars, “this song was made by Frank Zappa”, “BRB phone”, etc.). Regarding “things outside of the Shire” (for hobbit RP-ers), it depends whether you want to roleplay a typical hobbit from the books or not. Your average book hobbit would likely not have know details about wizards and their relations. Gandalf would be known because of his fireworks and a few unfortunate incidents involving one Bilbo Baggins, nothing else. Still, hobbits certainly knew things about the surrounding lands, not least that there was a bit of trouble and strife brewing in the east. At the Green Dragon on Laurelin, you have all sorts of hobbits: Those primarily interested in Shire pipeweed and crops, and those adventurous heroic sorts who know a lot more about Middle Earth than most scholars would (and, add to those, hobbits who are mostly there for music and fun). The most important thing for us at GDF is to enable a place for in-character hobbit fun for all these; those who live only in the Shire, and those who venture far and wide. So far, that’s not been a problem. Thanks, Lina–so helpful! I have been trying to be a better RPer, while relaxing and having fun with it. I believe with songs there is one nice thing working in your favour: Bards were always in the habit of transporting lore and news with their songs. If a bard hears a song he or she likes, they may well want to learn that song, and then sing it to their own audiences and other bards. Same with stories. And so it comes to pass that while the every-day hobbit in the Shire may not know anything about the outside world, they still may hear a strange tale from afar from a travelling dwarf, or hear a song about something that happened to Elves a long time ago, or hear a tune about some strange fellow with a funny name like Radagast, just because the bard singing it heard it from someone else and thought it was a good song. Excellent guide! It’s gotten me feeling really prepared for roleplay in Middle Earth, but I do have one question – how would one go about finding people to roleplay with? I know it was mentioned briefly above, but I was wondering if you have any specifics? – Walk around and look for it to happen. Bree is generally a place where many start out, especially in the Prancing Pony. The Shire sees a fair bit of roleplaying too, not least Michel Delving, but players are spread out a bit more there. – Look for announced events with a roleplay theme. If you’re on Laurelin, you can check out the events in my calendar. Don’t feel any pressure that you have to jump in and be 100% active from the start, it is perfectly fine to observe a bit. 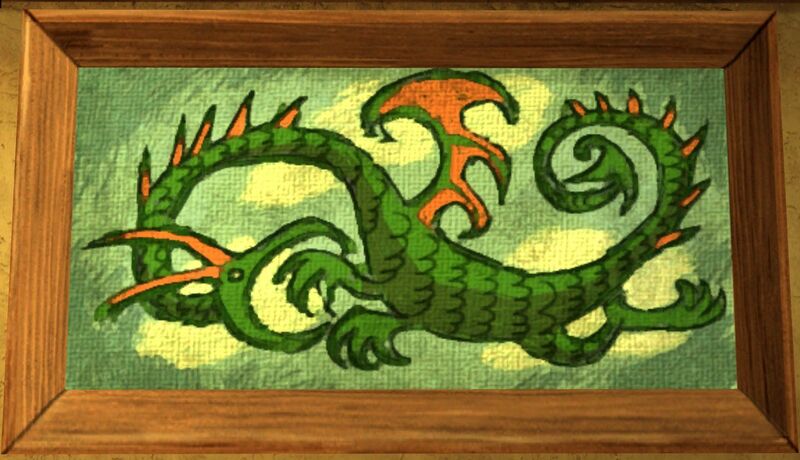 – Look for a roleplay kinship to interact with or even join (either observe them at events, ask in /world, look for kin notices on the forums/Laurelin Archives/elsewhere). That’s probably the best way to get roleplaying going. Glad yer like it! Enjoy roleplaying! This was a great guide, thank you! I joined LOTRO with the idea of roleplaying, but I’ve never played this type of game before, and just getting the hang of the interface has been quite challenging for me! I started to fear RP just because I might accidentally hit “numlock” and run away from a conversation. This is a big help, and I may actually try a simple conversation today! Grand! Don’t be worried and give it a go, and hopefully yer will have a lot of fun. Good luck! Welcome to Laurelin and good luck with yer roleplaying!